Long known as the most popular content management system available to bloggers and businesses alike, WordPress is an easy-to-use, versatile solution. With more sites running on WordPress than any other CMS worldwide, some might say it is the iPhone of internet content platforms. With its popularity and easy-to-use functionality, WordPress offers both advantages and disadvantages. Most people, however, find WordPress to be on balance a great platform. Many have historically loved how flexible WordPress can be in the world of search engine optimization. But does this still hold true today? We’ll examine today whether or not WordPress is on top with respect to SEO quality. Just how does WordPress stack up against its competitors in the field of reliability of speed? As it turns out, WordPress still provides top-notch stability when running on the right servers. For visitors who are pinging servers hosting a WordPress site that run on Linux and its variants, the platform runs incredibly quickly and with few errors. However, hosting providers that use different operating systems may not be able to provide the optimal experience for WordPress, due its optimizations being designed to run on Linux servers. As such, it really depends on what your server is running as to whether or not WordPress still provides the best SEO influence in this department. Another factor that determines just how SEO-worthy WordPress is in relation to other content management systems is your own personal experience and capability. For most webmasters and bloggers, WordPress is a great solution because of everything it balances with regard to professionalism and functionality. You don’t need an extensive background in programming or web design to build an awesome WordPress website. However, those who have both the time and capability to design more personalized websites may find that WordPress does not provide the most SEO customizations of any platform. While plugins may help level the playing field in some respects, somebody who knows how to build a professional website from the ground up may find other CMS solutions that provide more SEO value. One more thing to consider when evaluating WordPress’ SEO potential for your brand is the budget you have available. If you don’t have thousands of dollars to spend on developing a new website via professional assistance, then WordPress still ranks highly in the SEO department. If, however, you’re able to acquire professional assistance to build and ultimately optimize your CMS, then there are both out-of-the-box and completely custom solutions to consider that can do a better job than WordPress with its free, open source offerings. 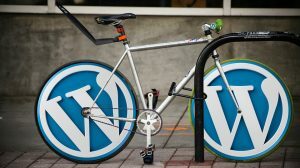 Ultimately, WordPress provides a ton of functionality and flexibility – in both the SEO arena and elsewhere – for a free and easy-to-use platform. If your number one concern is pinging servers with optimal SEO outcomes in mind, then there are more perfected solutions available. Unfortunately, practically all of them cost a lot of money and/or require a lot of time to develop. Those who have neither the experience nor the money to deal with such problems are generally best off when selecting WordPress as their content management system. Do you have any comments about WordPress’ SEO functionality from personal experience? If so, leave us a comment below and tell us what you liked/disliked about the platform. « What Problems Do Online Stores Most Often Face?